We all love to give and receive gifts. Do you have some quilters in your life that you would like to give unique gift items to? We searched sites like Etsy, Pinterest and various blogs to round up the best gifts for quilters. 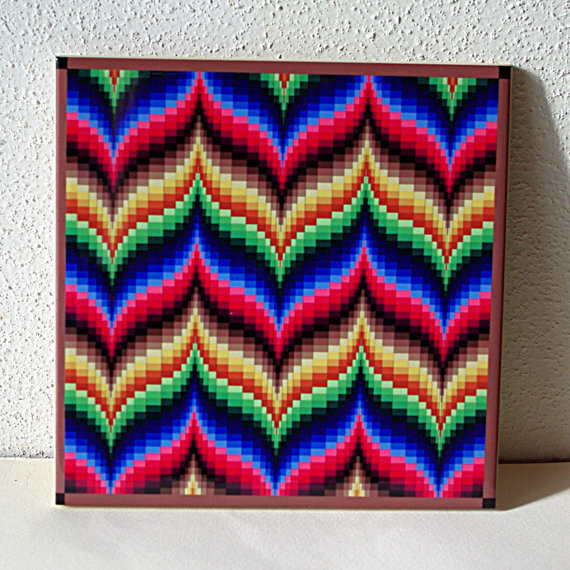 We love the Bargello Style Trivet featured above from Etsy seller, RV James Designs. The graphic was computer generated and then transferred to a ceramic wall tile. 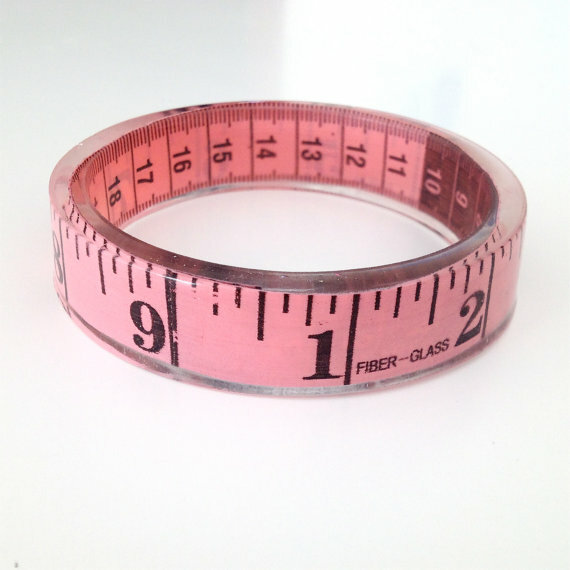 We also found this resin bangle bracelet on Etsy from seller, RubyBijou. Any quilter or sewer would enjoy getting one of these. The seller, from Ireland, warns that this gift may not be suitable for some since there is only one size available and the bracelets is not adjustable. It is available in several different colors and the seller welcomes requests for custom colors. 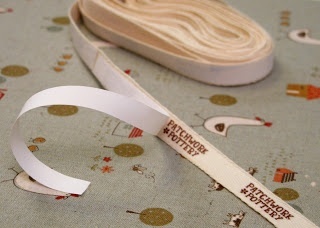 Sewing and/or quilting labels are always appreciated. 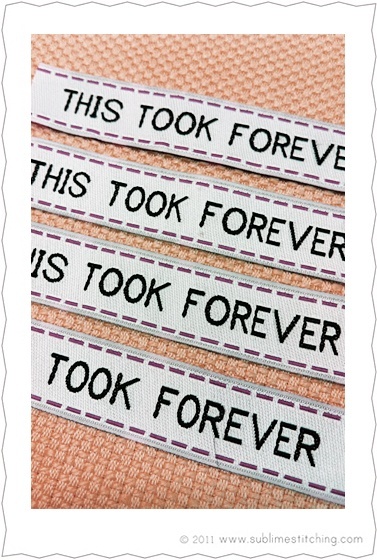 We like these humorous labels from Sublime Stitching. If you don’t want to order custom labels, try creating your own. This tutorial from Patchwork Pottery will show you how. She uses t-shirt iron on transfer paper found at craft and home improvement stores to make labels on an inkjet printer. Humor is always one of the best gifts for quilters. This adorable pillow from Etsy seller, PDQdesigns, was created using machine embroidery and would be the perfect gift for the quilter in your life. 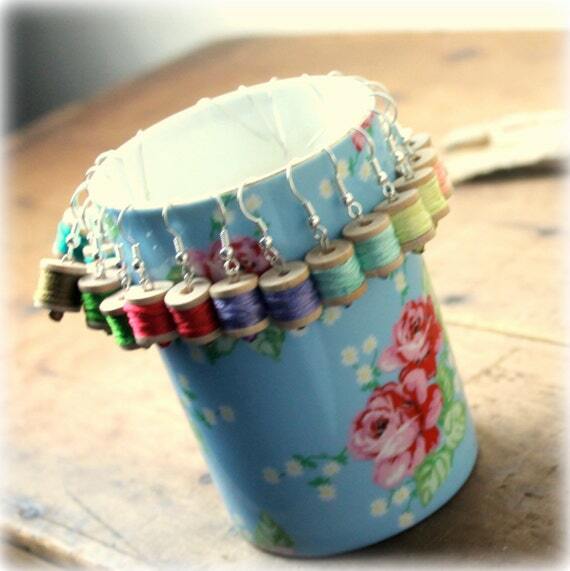 Finally, rounding out our list of the best gifts for quilters are these adorable earrings from Sweet Lake Jewelry. 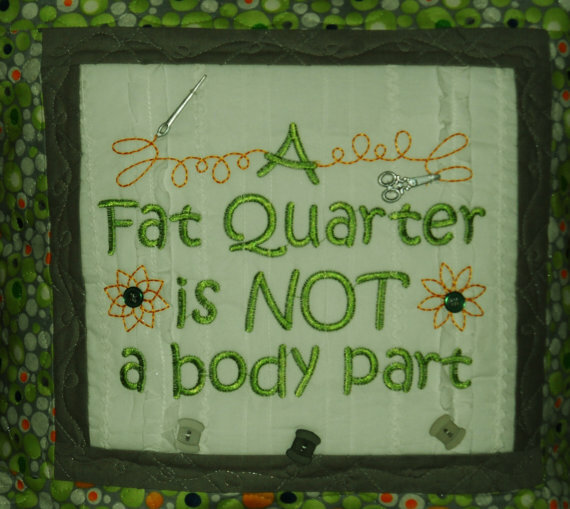 Do you have a link or an idea of a gift that would be perfect for a quilter or sewer? We would to see/hear about it. This entry was posted in Gift idea, Helpful Tips, Techniques and tagged gifts for quilters, gifts for sewers, quilting labels DIY, quilting t shirts, qulilting jewelry. Bookmark the permalink.